Multiple perspectives in the charges of first-degree murder against a man who is the victim of a stalker, and who, in defending himself, is tried for the death of the attacker. What are they saying about South Street? 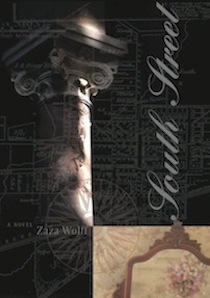 "South Street by ZaZa Wolff hits home in more ways than one. Factual, funny, and full of local flavor, this true historical account is aired anew and has appeal for any reader, but most certainly those who relish historical fiction."